Discover which model is best suited to your lifestyle. 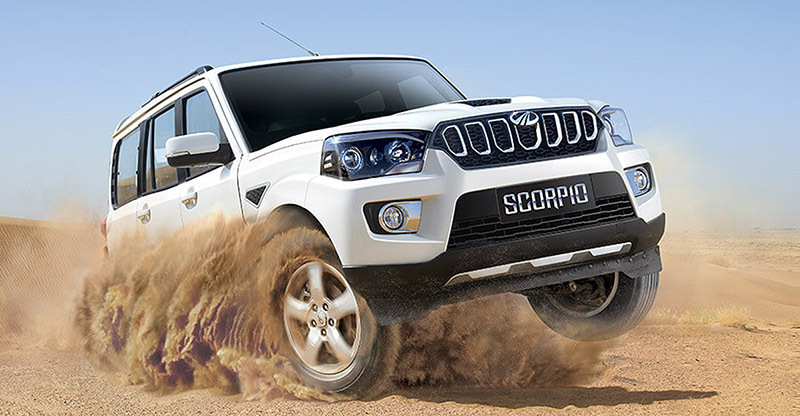 The new Scorpio is designed to excite with its rugged good looks: a new aggressive grille, muscular alloys and an imposing stance that commands respect on and off the road. If you think going off the beaten track means roughing it, think again. The Stylish New XUV500 will bring a new level of luxury to your adventure, captivating your senses on every level. It all comes together in the NEW KUV100 NXT to redefine urban mobility once again. This is no meek and mild wannabe – with its bold SUV stance, sporty styling and imposing good looks… It’s the ultimate urban warrior. Welcome to Mahindra Goodwood. Our friendly sales team is always here to help choose the right vehicle for you. Our workshop is on hand and ready to service your Mahindra vehicles. At Mahindra Goodwood we keep a large selection of parts to keep you on the road. Mahindra Goodwood is a division of Benba Motors (Pty) Ltd.
All information, specifications and prices are based on the latest product information available. Mahindra Goodwood reserves the right to make changes at any time, without notice, to the colours, material, equipment, specifications and models, which may affect vehicle pricing and vehicle content.